As much as we all wish spring would get sprung, it's not here yet. 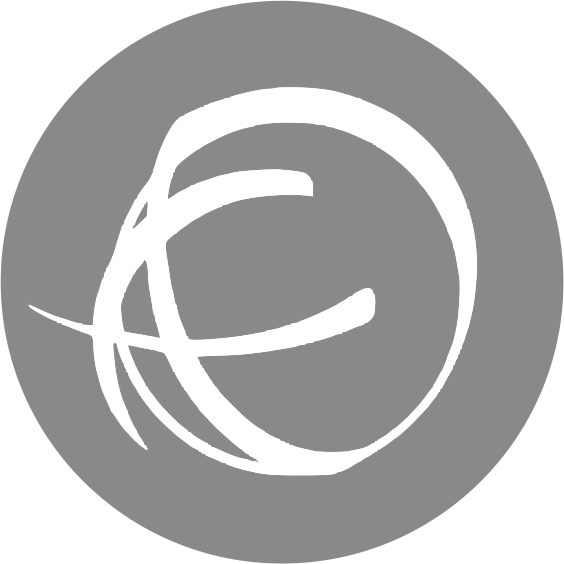 But I'm not too sad about that because it's given me reason to make a little something I've been coveting for some time now. 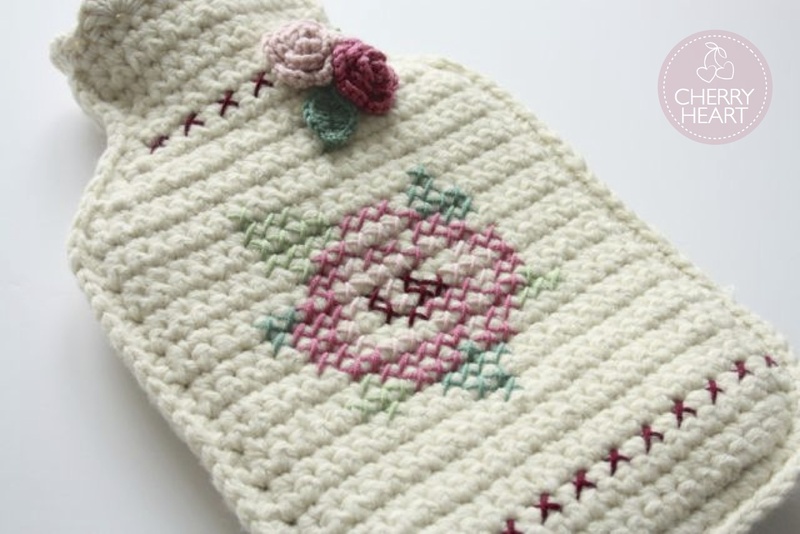 A new cozy cover for my hot water bottle. As always the inspirations of blogland, and nowadays of Pinterest and Instagram too, have been more than enough to get my appetite for a cute cover well whetted. Largely, I hold lovely Vanessa of Coco Rose responsible for these particular desires, as she often seems to have a beautiful hottie or two about the place and each one is as pretty as a picture. I've also been seeing a lot of cross stitching on crochet floating around and about on the ether so I thought I'd give that a whirl too. This was one of those projects that was an absolute joy to make. Nice chunky yarn (details will follow...) meant it worked up quick as quick and of course, playing with fun additions is always the best bit. In fact, the hardest part about this was knowing when to stop adding the Fun Additions. Would another row of cross stitch be ok? Should there be two roses as well as the cross stitched one? Pleasantly diverting conundrums though, not a taxing ones. The only pause I had was when I ran out of yarn about 10 yards away from completion. I wasn't keen on buying a whole new skien for a matter of meters so I dug out some of the cream aran yarn I used here and doubled that up to finish. I used it for the shell edging around the top of the opening, I don't think you can really tell do you? 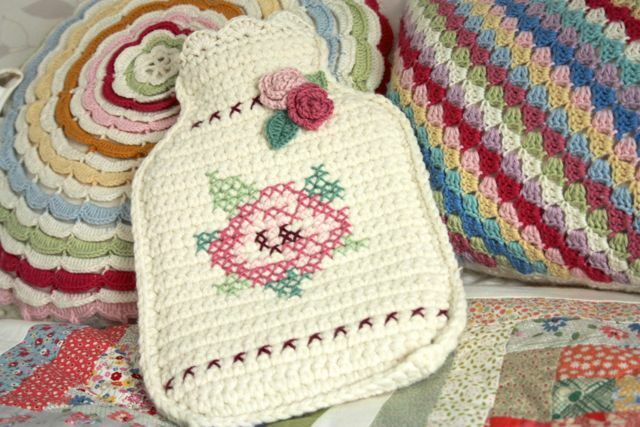 Yes, I can wait a few more weeks (just a few) for spring to come bouncing forth, just to I can get lots of use out of my new cozy rosie hottie! Don't worry, I didn't forget. What a wonderful hot-water cover - fit for a princess and so romantic! 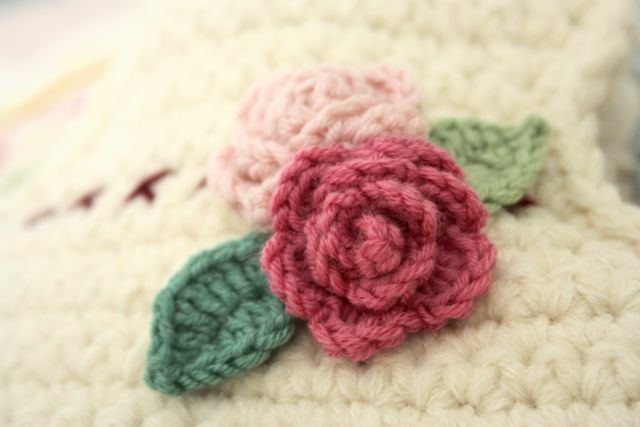 I love the cross-stitch rose and those sweet May Roses! Beautifully done! Really beautiful ! It will be in my project list of things I will make in the future. Thanks for the inspiration ! What a gorgeous cover, so pretty. How sweet. 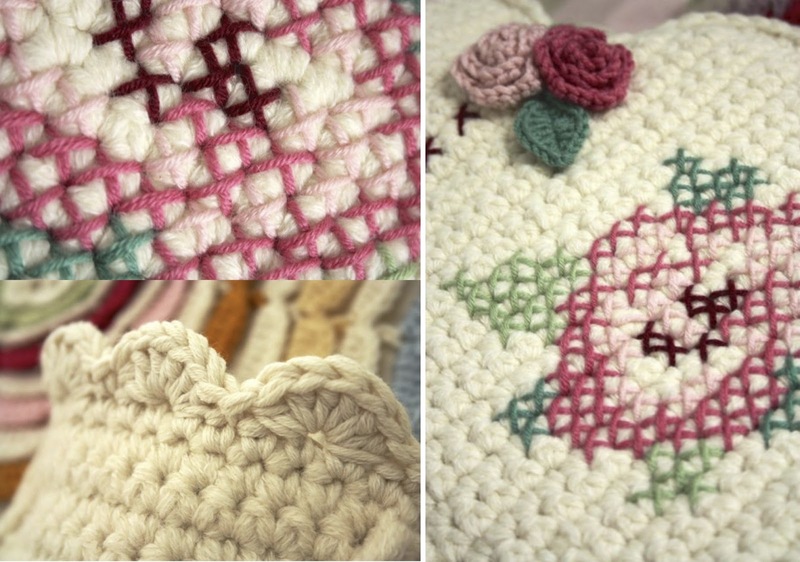 I love the round crocheted pillow. Where did u get the pattern? Gorgeous! I've been eyeballing this pattern and idea too recently. Yours turned out just beautiful. It's truly gorgeous! I just made one too - it was our homework in a Learn-to-Crochet class I'm taking at the moment. But I love all the embellishments you've added. Going to hop over to Attic 24 now and learn how to make leaves! Mañana hablo de tus mitones en mi blog. Me resultó curioso y valiente que "cortaras"
It's so pretty! Too bad we don't really use water bottles here in the States. This makes me want to get one! Thanks :D Yes, you need one! Don't they have them over there? I though you guys got everything!! A beautifully stylish way to warm up on cold winter nights! It makes me want to snuggle up with a cup of tea and watch Pride & Prejudice :-) Thanks so much for sharing your creation. Thanks so much Leisa and yes, with Pride and Prejudice, that would be perfection indeed, I agree. So pretty and I love your pillows too! Fabulous hot water bottle cover. You could personalise it with virtually any cross stitch motif. Brilliant ! The circular cushion in the background is lovely - Please could you tell me where I can get the pattern? 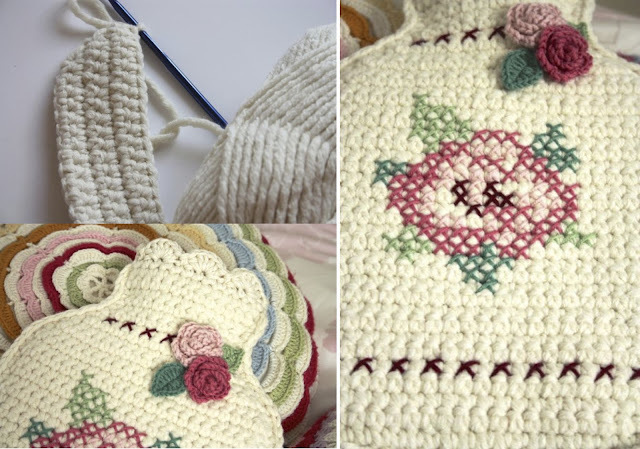 Aaawwww this project is amazingly cute and lovely, it makes me want to leave everything I'm doing and go on the sofa with needle and yarn! I was already following your IG (and love it) but I just found out your blog and it's so so so pretty! I love all the colours you use, your crafts and your pics are so cheery and happy. Thanks for sharing all this beauty with us.